Retirement account contribution limits are periodically increased to keep up with inflation. A qualified retirement plan is any type of retirement account recognized under the Internal Revenue Code that qualifies for special tax treatment. This includes employer-sponsored plans, such as 401(k) plans, as well as individual retirement accounts. The IRS has specific guidelines regarding contributions to qualified retirement plans. Knowing how much you can sock away each year can help you make the most of your retirement savings. A defined contribution plan is a type of qualified retirement account that's funded by the employee. You make contributions by opting for elective deferrals from your paycheck and your employer has the option of contributing but isn't required to. Elective deferral plans include 401(k), 403(b) and 457 plans. The Thrift Savings Plan available to federal employees is also funded through elective deferrals. As of 2013, the most you could contribute to any of these types of plans was $17,500. The IRS also limits how much your employer can chip in to a defined contribution plan. The cap for elective and matching contributions for 2013 was $51,000. A defined benefit plan is a type of retirement account that's funded solely by your employer. This type of plan is designed to provide you with a specific amount of money once you retire. The amount your employer contributes is based on a number of factors, including your age, years of service, annual salary and life expectancy. There's no set dollar limit on how much an employer can contribute. Instead, the IRS places a limit on the maximum amount of benefits payable annually. For 2013, the maximum benefit limit for a defined benefit plan was either 100 percent of the employee's average compensation for his or her three highest consecutive calendar years or $205,000. If you're not covered by an employer's retirement plan at work or you want to supplement your savings, you can open an individual retirement account or IRA. A traditional IRA offers a tax deduction on contributions but you'll have to pay income tax on the money once you start taking it out. Your ability to deduct your contributions is based on your adjusted gross income. There's no tax deduction for contributions to a Roth IRA but qualified withdrawals are tax-free. Your ability to contribute to a Roth IRA is determined by your income and filing status. The contribution limit for both traditional and Roth IRAs was $5,500 as of 2013 for taxpayers younger than 50. The IRS allows you to make catch-up contributions to a qualified retirement plan if you're over age 50. 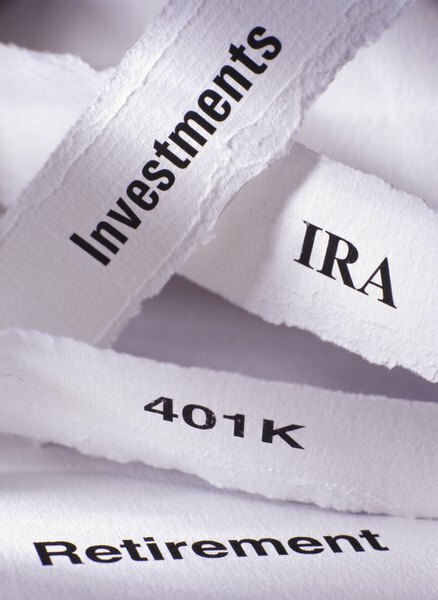 For 2013, the catch-up contribution limit to a traditional or Roth IRA was an additional $1,000 per year. You have an even bigger advantage if you're contributing to a 401(k), 403(b) or other elective deferral plan. The catch-up contribution limit for these plans was an additional $5,500 as of 2013.